For adding heart rate data to your open-water swim or occasional pool swim, Garmin's HRM-Tri ANT+® strap records HR data while in the water so it can be transferred to your device at the end of the session. The inclusion of accelerometers also allows it to measure advanced Running Dynamics when used with compatible devices. Battery life up to 10 months (based on 1 hour of tri training per day). Runs on one CR2032 battery. Compatible with Garmin Fenix 3, Epix, Forerunner 920XT, and Tactix® Bravo series watches. Claimed weight is 59 g. 5 ATM waterproof rating. 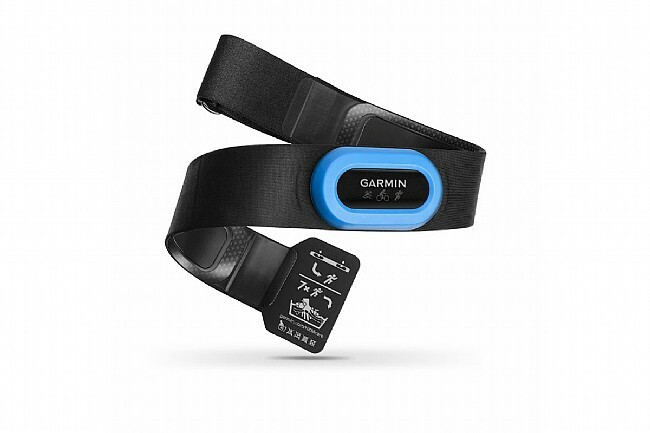 Note: For regular pool use, Garmin recommends using their HRM-Swim strap. This product is replacing an older Garmin HR strap that did not compute any running dynamics. It's nice to have the running dynamics to view as well and make adjustments in my training. The strap is more comfortable than my older one, but I was hoping to feel even more comfortable, hence the 4 stars. I have not had a chance to swim with it yet. But overall works great!